Well, earlier today something nice arrived on my doorstep. Hmm. What could it be?? 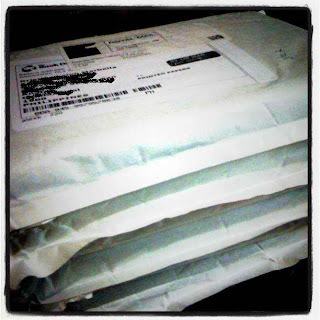 Could it be a bomb sent to me by an enemy? hmmm. And so, I opened it. 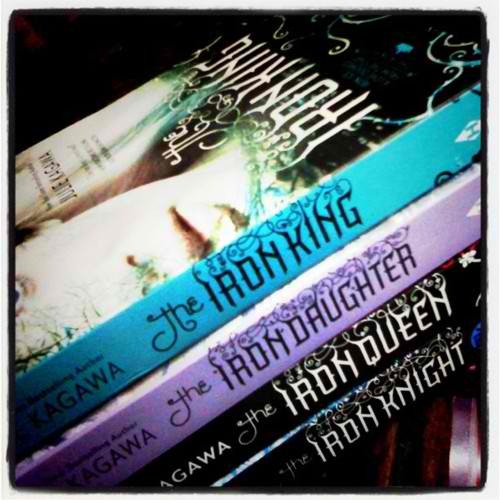 My paperback copies of The Iron King, The Iron Daughter, The Iron Queen and The Iron Knight by Julie Kagawa has arrived. Yes Dom! I super love reading. :) I like getting lost in their fantasy worlds. hahaha. The Iron King is nice. I'm reading it right now. IMY!